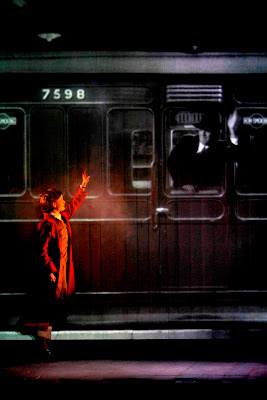 Arts Projects Australia presents the Kneehigh production of Noel Coward's BRIEF ENCOUNTER at The Concourse Theatres in Chatswood. The principal story is of Laura (Michelle Nightingale) and Alec (Jim Sturgeon), a couple who meet accidentally on a railway platform and, despite their separate marital status, find themselves falling in love, during a brief series of encounters. This couple are restrained and held in a dance of sexual tension of a peculiar English kind, contrasted with the more robust romantic hijinks of the railway staff, Albert (Joe Alessi) and Myrtle (Annette McLaughlin) and two young initiates to 'love', Beryl (Kate Cheel) and Stanley (Damon Daunno). The material is fairly familiar and is, charmingly, of a very different time - for some, a nostalgic pleasure, for others, a slightly boring formulaic routine,or a sociologically 'weird' set of 'historic' observations of a culture now past - one brings one's own point of glance, one's own earned sophistication to the experience, or not! What, however, has ensured the success of this work by Kneehigh and its international, seemingly, timeless appeal, is the stylistic forms and production techniques the company has employed to bring it to life on the stage. This is no straight rendering of the material, for, Ms Rice has dipped into the many genres of the performance arts practice to tease out and tantalise the storytelling. Dramatic scene playing around cups of tea and cake, filmed sequences, both, of enacted fantasises (much crashing of sea against the shore, for instance) and of the digital-'animated' kind (steam trains arriving and departing at the station), live vaudeville/cabaret musicalities - interspersed with grand recordings of romantic classic scores (a Rachmaninoff piano concerto) - gentle audience interaction, burlesque/circus excursions, puppetry and toy train inventions (puffing smoke) and incursions of various scale, plus a 'moving' set design of the old fashioned stepped railway station bridge crossover. All are revived and shaped beautifully as the wrappings for a very generous and pleasant theatrical journey over 90 minutes or so. The Design is by Neil Murray, beautifully lit by Malcolm Rippeth. Projection and Film Design by Jon Driscoll and Gemma Carrington; assisted by Stephen Parkinson. 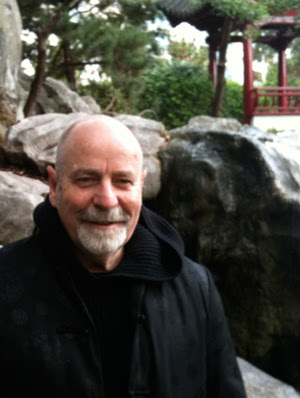 The Sound design, which subtly invites imaginative immersion in the play, is by Simon Baker. Mr Alessi playing, principally, the double of the frisky station hand, Albert, and the 'boring' husband to Laura, Fred, amongst much else (including the rope ballast to the burlesque twirl in a later sequence) gives an outstanding performance of crafted spontaneity and character demarcations. Mr Sturgeon as Dr Alec is attractively proper and also carries his other tasks with élan. American actor, Mr Daunno, as Stanley, one half of the young lovers, draws delicate ingenue attention and, has in other responsibilities, a wonderful skill in delivering the lyrics of his musical tasks. I felt that Ms McLaughlin's Myrtle was a little too broad, too low in vaudevillian intent, 'chewing' her opportunities with a trifle too much satisfied mastication - a tinge of caricature spoiling the delicate tone of the production as a whole. Ms Cheel as Beryl, an Australian artist, recently joining the cast, has a glowing refreshing presence and appears well integrated into the production, easeful, and gives a delightful sense of period and jaunty style to her contributions to the entertainment. Ms Nightingale, as Laura, also a new Australian addition to the company, has all the clipped emotional life of the character, externally, but does not have much depth to her characterisation, and, certainly, in the physical demands of the work, lacks the requisite skill to pull it off without drawing focus - the danced flip over the chair and the burlesque trapeze, that she has to execute, appears insecure and pulls us out of the 'ecstasy' of the choreographed intention at its clumsiness. 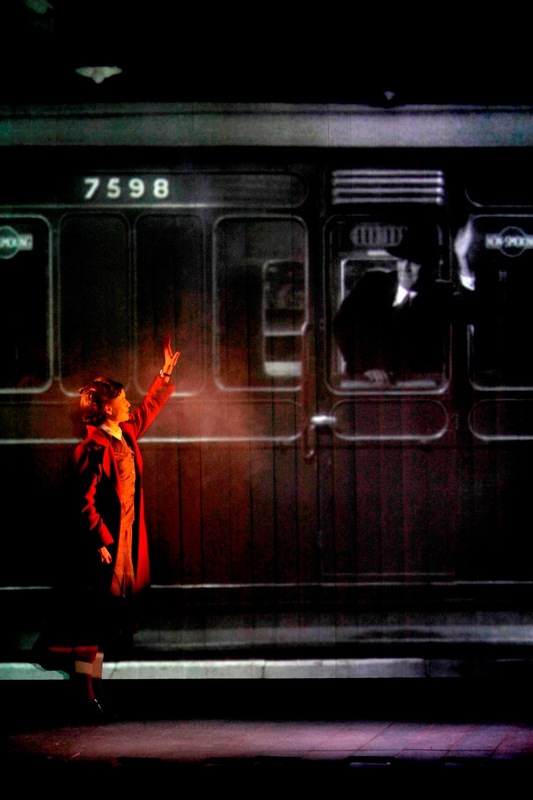 Kneehigh's BRIEF ENCOUNTER is a theatrical confection of some real pleasure and an antidote to some of the adaptations of 'Classic' works which we have seen around Sydney theatre companies over the past few years. It shines because of its innovations in integrating other theatre conventions with a true respect for the original material. It reminded me of the present 'genius' I saw in THE GLASS MENAGERIE production on Broadway, last month. The Concourse Theatre is a relatively new theatre space and well worth knowing, comfortable and inviting, a 5 minute walk down from Chatswood station (surrounded by many, many restaurants.) I recommend a journey to catch this production. I caught the train - 20 minutes from Central!